Olive oil nourishes your hair scalp, moisturizes your hair and makes it shine. Coconut oil does the same and adding to it, prevents dandruff and bacteria and fights them too. Chocolate is rich in vitamins, magnesium and oxidants. As a result, it leaves the hair shiny, voluminous, strong and manageable. 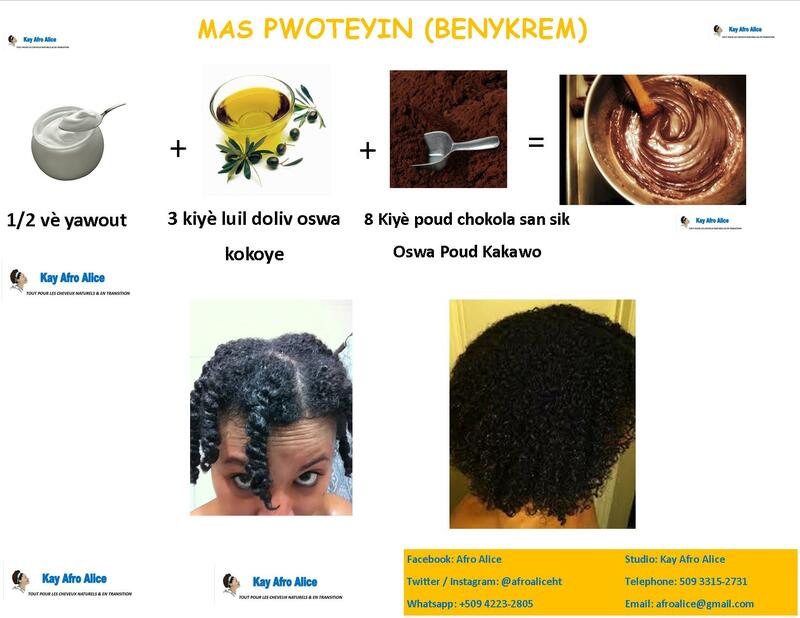 Transitioning and natural individuals only can use this recipe. This is a protein treatment and can be done ONLY once per month on healthy and balanced hair unless otherwise requested after a wet hair test.